Emails obtained under the Freedom of Information Act show other universities were denied extensions to repay provincial loans. Acadia University's loan was not only extended, but was later forgiven. While three Nova Scotia universities asked the provincial government for extensions on a loan repayment — and were ultimately rejected — the province has two different answers for why it decided not only to extend Acadia University's $7-million loan, but to forgive it entirely. According to emails obtained by CBC News through a freedom-of-information request, Acadia was repeatedly denied an extension on the loan, and up until April of this year, the government said the school would have to repay it. Acadia was then given an extension until June 2017, but when June rolled around, the loan was ultimately forgiven. In July, CBC News learned that Acadia was given a $24.5-million bailout from the provincial government, which included a $3.5-million operating grant increase over several years and $7 million for its Strategic Opportunities Fund Incorporated (SOFI) loan forgiveness. The SOFI loans to universities were intended for infrastructure investment and were repayable with interest over five years. 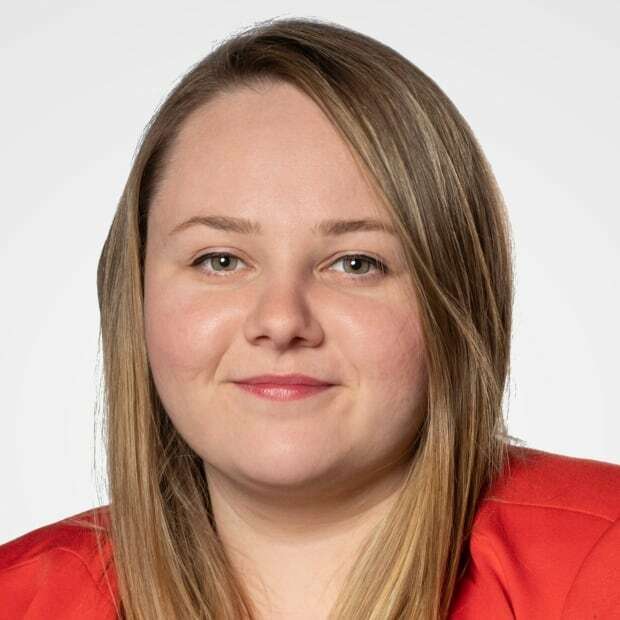 At that time, Labour and Advanced Education's Ava Czapalay wouldn't say why the money was necessary or if the department was concerned about the university's financial situation. 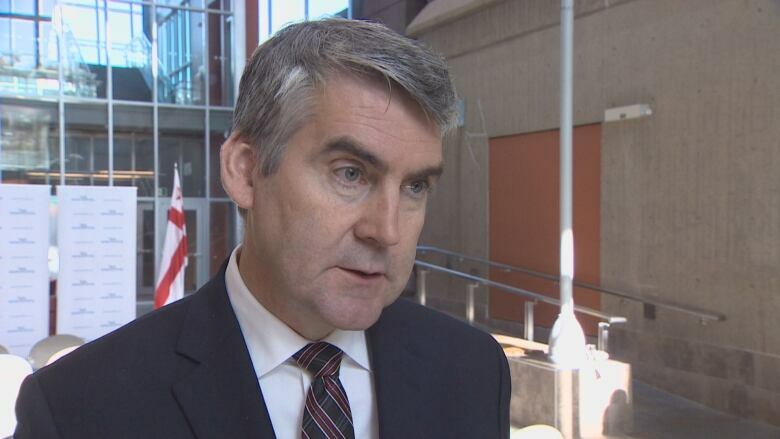 This week, Nova Scotia Premier Stephen McNeil said the province forgave Acadia's SOFI loan because of a promise the previous NDP government made when Acadia received the loan in 2011. McNeil said Acadia officials told the government of the day they didn't want the loan and it had to be "a forgivable thing." "The former government said, 'That is the only avenue we have to send you the money. But don't worry about it, you're not going to have to repay the loan.'" He said other universities received loans understanding that they were, in fact, loans, but that wasn't the case for Acadia. "So we're left with this dilemma, what do we do?" McNeil said. "So we made the decision to fulfil the commitment." Minister of Labour and Advanced Education Labi Kousoulis said the decision was made to forgive the loan based on a study by Deloitte & Touche earlier this year. Kousoulis told CBC News that the study was done to "look at all aspects of the finance of Acadia.… We wanted Acadia to have a strong financial footing. "As we looked at their rebounded enrolment, we bumped up their base funding by $3.5 million and part of making them whole again was to forgive the SOFI loan, which didn't even go to its intended use," Kousoulis said, adding that SOFI loans were intended for infrastructure investment. This was, he said, another reason the province forgave the loan — it was used for day-to-day operations, not infrastructure. "They had no tangible asset to actually point to in terms of the SOFI investment," Kousoulis said. "They should never have gotten the loan." Kousoulis said he was unaware of any promises to Acadia about not repaying the money, but noted Acadia was the only university to receive a SOFI loan for operations. What's clear from the emails is that Acadia wasn't the only university struggling to pay back the SOFI loans. The loans were given to seven universities, and emails show that at least three of those schools asked for the terms of their loans to be changed and extended, suggesting a five-year extension was something the department had alluded to granting in the past. Mount Saint Vincent University, NSCAD and Cape Breton University all wrote to the department for this reason and to express their own financial worries. But they were all told by the department that the loans would need to be paid in 2015 when they were due, which all three of these universities did. 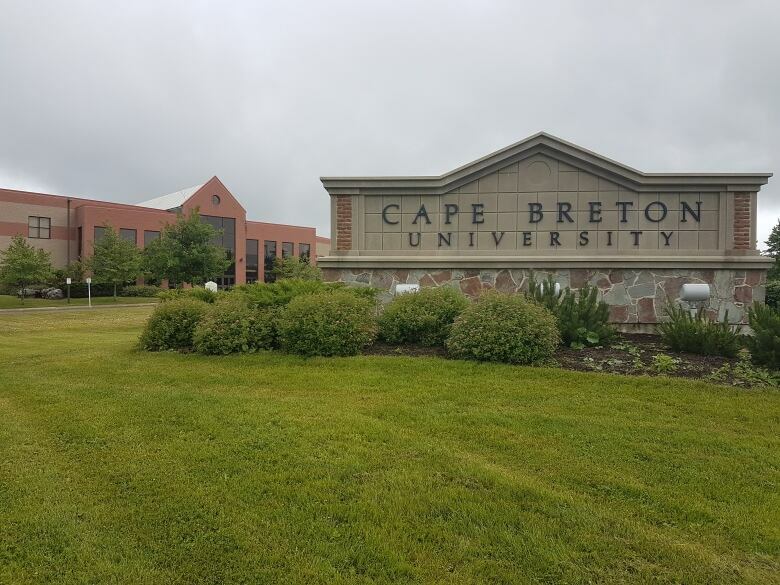 In fact, in 2013, CBU's vice-president of finance, Gordon MacInnis, turned down further SOFI funding because "we do not feel that assuming more debt at this point would be a fiscally responsible approach. What would be very helpful however, is the rollover of the existing SOFI loan." MacInnis asked to have the March 2015 due date extended by five years. In April 2015, Greg Ells with the Department of Labour and Advanced Education wrote to MacInnis to confirm that CBU had repaid its loan in full. "We have repaid the loan as per our obligation to do so. About $5.4 million as I recall. I assume others have also met their obligations?" MacInnis wrote. Ells responded back an hour later: "All due have repaid. Just Dal and Acadia left to come due." In an interview with CBC, MacInnis said he asked whether other universities had repaid their SOFI loans to see whether any discussions about loan extensions or forgiveness were happening with other schools. "We were a little surprised I guess that the Acadia loan had been forgiven. I think that would be true for everybody in the sector," he said. "That said, if you understand how the university business model works, the fact that Acadia needed some help should not have come as a surprise to anybody." Saint Mary's University and St. Francis Xavier University confirmed they did not ask for extensions. 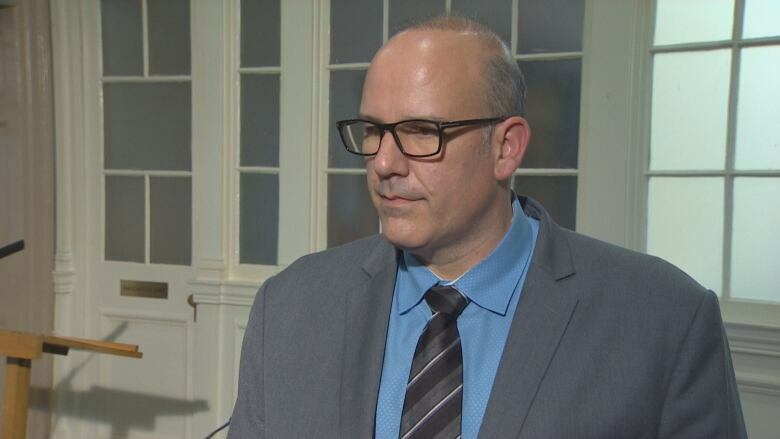 Dalhousie University spokesperson Brian Leadbetter said the university was informed an extension was not possible, and repaid the loan with interest in 2015. 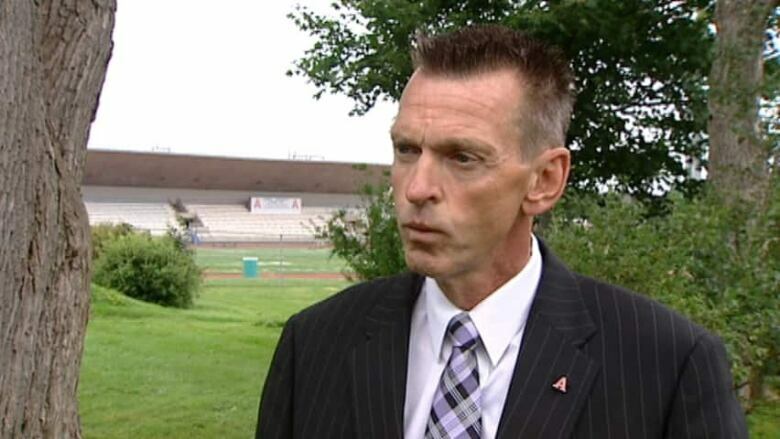 The emails show that Acadia University president Ray Ivany asked for an extension, too, which was repeatedly denied between 2011 and this spring. The government held firm that the loan had to be repaid. 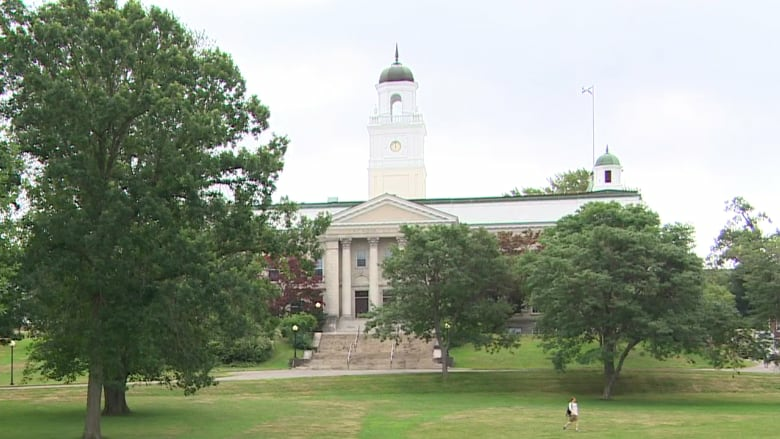 A March 2, 2016, email from the Finance Department's Geoff Gatien to several Acadia University officials reminds the school the loan is "well beyond 60 days past due." He writes that at least four reminders had been ignored by Acadia. "We would certainly appreciate hearing from your institution with regard to intention to honour this obligation. I would prefer to avoid more formal methods of escalation but continued non-response will result in escalation," Gatien said in the email. Then, in October 2016, Ivany writes to ask for forgiveness on the loan, saying if that isn't possible, they are requesting the loan be extended for an additional five years, during which time Acadia would continue to make interest payments. An LAE spokesperson confirmed Acadia made all of its interest payments during the five years it held the loan. "We recognize that we are making a significant request — albeit a request that was first noted in 2011 — but, given the stakes are exceedingly high in regard to the university's reputation, we believe it is justified," Ivany said in the email. On Tuesday, Ivany agreed to speak to CBC the following day. But on Wednesday he did not return or answer calls from the CBC. Ivany wrote another email in December 2016 formally requesting the province extend its SOFI loan to April 1, 2017. A letter dated April 10 of this year and signed by Geoff Gatien clearly lays out the expectations for the three-month period between April 1 and June 30, when Acadia's SOFI loan was extended to. The letter states the original loan terms and conditions "remain unchanged during this period" and "SOFI expects Acadia to deliver a proposal that will demonstrate a path forward whereby the SOFI loan is repaid." It asks that Acadia come up with a repayment schedule that includes monthly interest and principal payments. Following this, a June 21 email from Gatien said the directors of SOFI are "releasing Acadia University from its obligations to SOFI. We are pleased to see the progress Acadia has made." A letter attached to the email states Acadia is relieved of all obligations relating to the $7-million loan and a lawyer will prepare the release of security documentation and provide it to Acadia. 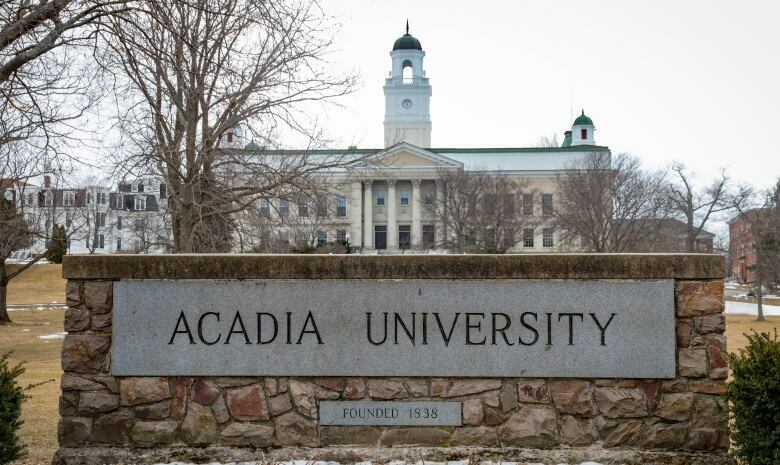 Current president and vice-chancellor for Acadia University, Peter Ricketts, said it's his understanding that Acadia never applied for a SOFI loan, but reached out to the government in need of $7 million in operating costs. The university, he said, was offered that money through the SOFI loan, but stressed a loan wasn't something the university wanted at the time. "We needed the money. But it was made very clear at the time that Acadia could not see how it could ever pay back the principal on that loan," he said. But Ricketts said he didn't know whether the university was promised at that time the money wouldn't need to be paid back. "It certainly was set up as a loan.… There was a time limit on it, there was a repayment schedule, there were interest payments that were made." Ricketts said he believes the loan was forgiven because through the deep dive into Acadia's finances, the government concluded they never should have received the loan in the first place, and Acadia had done everything it could to manage its finances. "It's a lot of jobs, it's a lot of operational expenses and the government clearly came to the understanding that Acadia could not do that [pay the loan] without severely impacting its ability to operate successfully," Ricketts said. "So that's why they came to the conclusion this had to be dealt with now."